With travel costs skyrocketing and recruitment budgets shrinking, telephone interviews and online interviews are becoming more common. If you’re a recent college graduate, and this news scares the pants off you, keep calm and read on. Relying solely on your words to carry you through an interview can feel a bit intimidating. Even traditional face-to-face interviews feel intimidating when you’re a newbie. With a little practice and lots of preparation, you’ll become a pro. If the video is not playing or displaying properly, click here to watch on YouTube. It’s helpful to schedule telephone interviews because you won’t be sawing logs in your sleep when the phone rings and catches you off guard. You’ll be alert, prepared, and much more likely to perform well during phone interviews if you schedule them. Another important part of scheduling telephone interviews is knowing who’s calling whom. If you’re calling your interviewer, set a reminder in your phone, and keep your phone charged and with you so you’ll hear the reminder/alarm. And don’t forget one other important thing—contact information for your interviewer. It’s best to have two ways to contact your interviewer in case one phone number doesn’t work that day or technology fails you. Obtain both your interviewer’s phone number and email address if possible. 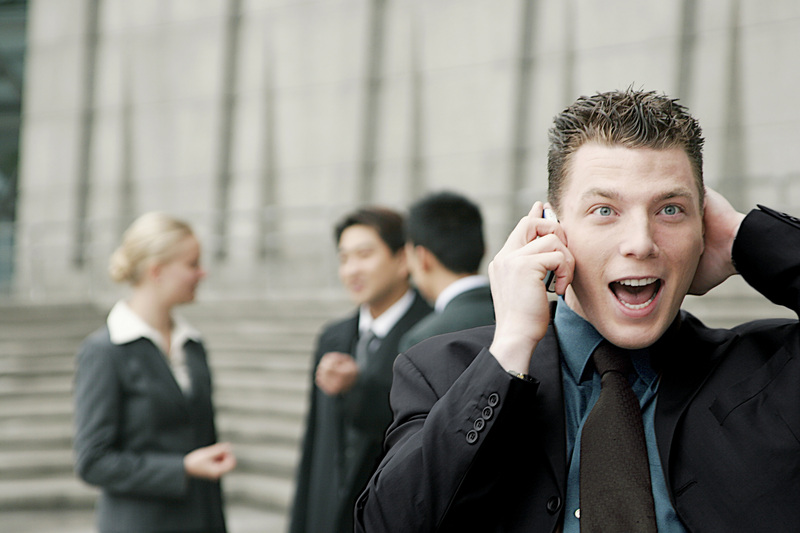 There are several ways to prepare well for telephone interviews. Let’s hit the high points. Above all, prepare for a phone interview the same way you’d prepare for any other interview—reviewing basic interview questions, researching the company, getting a good night’s sleep the night before, etc. Telephone interviews are a different animal, though, than face-to-face interviews, so let’s focus on how to prepare specifically for phone interviews versus face-to-face interviews. Ensure you have all documentation and sources you might want to refer to during the phone interview on hand and available. This should include a copy of your resume, cover letter, digital portfolio, and company website. Be sure to send copies of said documents in advance as well (resume, cover letter, and portfolio link). Prepare a distraction-free zone. Schedule your call at a time and in a location free from as many sounds as possible, including children, friends, romantic partners, other students, coworkers, cars, etc. Even if you are great at zoning out and focusing on conversations, your interviewer might not be, and there’s no faster way to turn off a potential future employer than to schedule your phone interview and force your interviewer to try to compete for your attention or discern your voice from five others in the background. It’s also best to eliminate visual distractions from your sight. Give yourself the gift of focus during your telephone interview. Keep a bottle or glass of water handy, but don’t consume too much. You can’t pause the interview for a restroom break, and you don’t want to cause yourself any discomfort which would distract you either. And by all means, don’t crunch and munch on snacks during your interview, chew gum, or eat candy. Noises like this are amplified over the phone, and you don’t want to come across like a chipmunk on the other end. TIP: Make sure to supplement your online job search with networking. Once you get guidance from your network, target your online search to the right job titles and companies. After you apply, follow up with someone who works there. College Recruiter lists thousands of entry-level job opportunities. Would it make sense to start searching? When you smile, stand up, nod your head, and sit up straight, you sound more positive, energetic, and focused. This is probably the way you would carry yourself physically if you were interviewing face-to-face, so sit/stand this way while interviewing by phone, too. If you’re physically able, standing up while conducting a phone interview, at least periodically, is usually a good idea. It helps you maintain a higher energy level, and believe it or not, it’s conveyed in your voice tone. Conduct yourself as if you’re face-to-face, smiling and doing all these little things (honing your non-verbal skills) while on the telephone interview, but remember you’re not face-to-face—your interview can only hear your words and the tone of your voice. Be sure to enunciate clearly and use words you’re familiar with to avoid mispronounced words. If you follow these 3 simple steps—scheduling and setting reminders, preparing, and communicating as if face-to-face—your telephone interview is bound to succeed.